There is a saying in Costa Rica, it’s actually the unofficial motto of the country: Pura Vida. It literally translates to “pure life.” But really it’s more along the lines of “life is good.” And it’s used in everyday conversation. It’s a greeting…if someone asks how you’re doing, you can say “pura vida”… If that attitude appeals to you, you might want to consider retiring in Costa Rica. This country of 4.8 million is tucked between Nicaragua to the north, Panama to the south, the Pacific Ocean to the west, and the Caribbean Sea to the east. Costa Rica may truly have it all: a year-round tropical climate, quiet rural areas, hillside villages, modern cities, Caribbean beaches, Pacific coastline, rain forests, lush valleys, and mountains. According to the U.S. Department of State, more than 20,000 U.S. expatriates live in Costa Rica, many of them as retirees. That’s because Costa Rica has one of the highest standards of living in Central America. With an economy catering to a growing middle class as well as tourists from around the world, you’ll have no trouble finding theaters, galleries, and fine dining in virtually any cuisine. 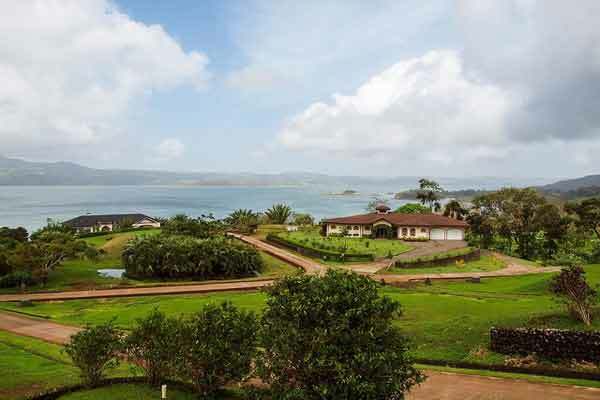 Plus, there is excellent healthcare, high-speed internet (even in seemingly remote areas), reliable electrical service, clean water you can drink from the tap, and good cellphone coverage (including 3G and even 4G in some areas). In addition to its natural beauty, culture, welcoming attitude of the locals, and convenience, Costa Rica attracts many expats with its lower cost of living and slower pace of life. Many retirees choose to live in the Central Valley of Costa Rica, which is the region surrounding the capital city of San José and its international airport, shopping, and medical facilities—featuring the top physicians and facilities in both the public and private systems. The services and amenities here are the best in the country. But while the immediate area around San José is quite urban, there are plenty of places to get away from it all in the countryside. The weather is also an important factor—this area enjoys year-round spring-like temperatures averaging 72 F. Days can get up into the mid 80s F and nights dip into the 60s F. Elevation plays a large role in temperature—the higher you are, the cooler the climate. 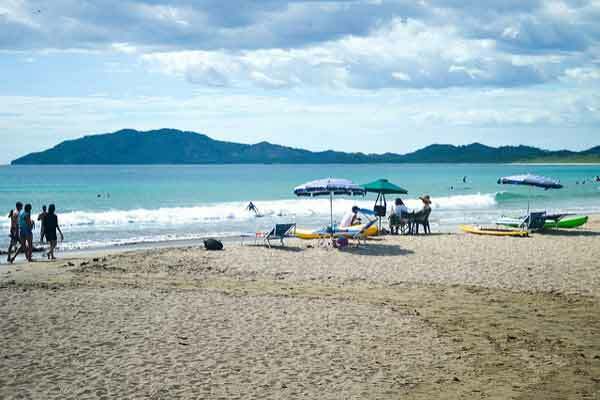 Other expats choose to live near the water…the Guanacaste province, the region on the northwest Pacific coast, also known as the Gold Coast, is one of the most popular. There are expat enclaves here; luxurious communities, as well as simple beachside villages where expats mingle with friendly locals. The Central Pacific coast from Jacó to Quepos is also an expat destination. Here the amenities of San José are just an hour to two hours away, and you can enjoy the fun of bustling beach towns with a great restaurant scene, active nightlife, and more. 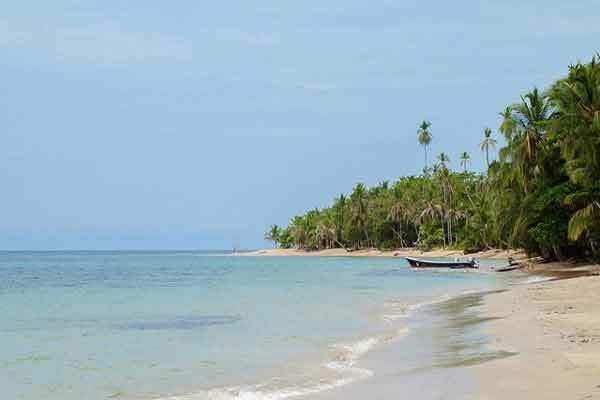 Plus, while this one of the most developed beach areas, there is still plenty of natural beauty, including some of Costa Rica’s best national parks. The Southern Pacific Coast, also known as the Southern Zone, is an up-and-coming area near the border with Panama. Here you won’t find large-scale development. Visitors tend to be into eco-tourism—it’s an area of vast rain forests full of wildlife and deserted beaches with migrating whales just offshore. Many expats live in homes on jungle-covered hillsides with panoramic views of the coast. It’s a small but active expat community…and surprisingly there are a good selection of gourmet restaurants here—some say the best in the country. 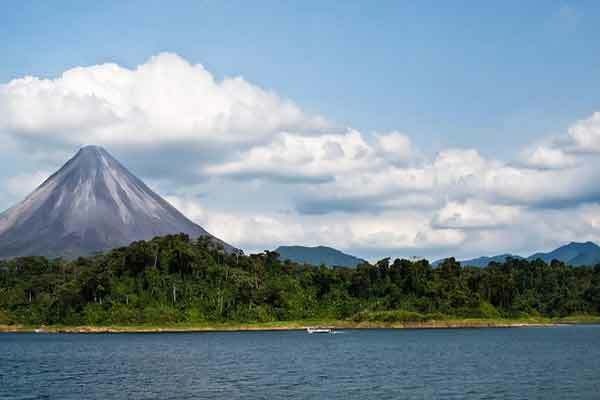 About three hours northwest of San José is Lake Arenal. This 33-square-mile lake is pristine, undeveloped. Verdant green hills rise gently from the shore, dotted with villages and homes. In North America a lake like this would be packed with marinas and other noisy lakeside development. But here that’s not the case, although there are several restaurants, cafes, and art galleries lining the narrow and winding road that hugs the lakeshore and offer great views of the water. If you plan to live in Costa Rica, you should consider applying for residence. There are several categories available. The most popular for retirees is pensionado. Those seeking a pensionado visa needs to prove a minimum income of $1,000 per month from a qualified pension or retirement account or from Social Security. Another category for those not ready for retirement is rentista. Rentisa visa holders have to show income of $2,500 per month for at least two years, guaranteed by a banking institution or make a deposit of $60,000 in an approved Costa Rican bank. In both cases, one spouse applies and meets the requirements and the other is covered as a dependent. If you’re considering seeking residence in Costa Rica the process is relatively straightforward. But getting the help of an in-country attorney will help things go smoothly, especially if you don’t speak Spanish. Costa Rica is not the place for bargain-basement living. It is the most expensive country in Central America. In many ways, it’s a victim of its own success, so to speak. It’s safe, stable, with a growing economy. But in Costa Rica, you will find a high standard of living that is still far below the cost of living in the U.S., Canada, or Europe. How much it will cost you, of course, depends on your lifestyle. But many expats report living comfortably on budgets of between $2,000 and $3,000 per month. Spend more, and you will have a lifestyle that would never be possible back in the United States. Rents range from $300 to $600 per month for a small home or condo to $1,200 to $2,000 per month for a large house with a large yard, depending on location. Rural areas are cheaper, and ocean and urban properties are more. You won’t need to give up anything if you retire to Costa Rica…except cold winters. Need modern appliances? A high-speed Internet connection? Cable and satellite TV? Costa Rica has all the services and infrastructure in place to meet all your needs. And because the cost of labor is low, you may be able to employ household help that will enable you to vastly improve your quality of life. It’s not surprising that expats, especially Americans and Canadians, are attracted to Costa Rica. With one of the highest standards of living in Latin America and a variety of different climates to suit all tastes, Costa Rica is the perfect retirement destination. International Living has been researching and reporting on opportunities for expats for over three decades. With the help of our contributors, correspondents, friends, and colleagues exploring the world on your behalf, we have put together a starters’ guide with everything you need to know about moving abroad to Costa Rica. This is not meant to be an exhaustive list, but it’s a great place to start. Read the below and make a note of any considerations you may need to add, based on your own personal situation. 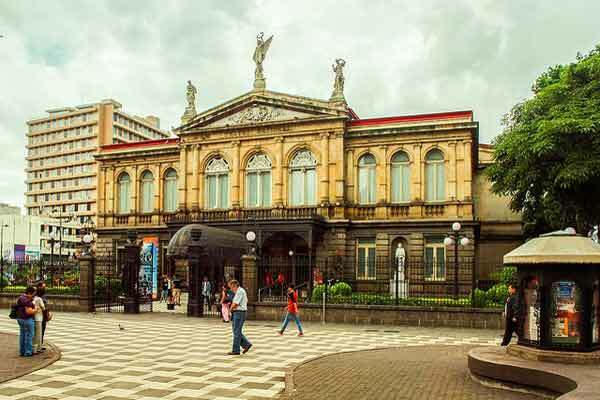 Expats are attracted to Costa Rica for numerous reasons, which include the low cost of living, excellent healthcare, modern telecommunications structure, beautiful beaches, rainforests, lush valleys, and cool mountains…not to mention the theaters, art galleries, and fine dining. There are more than 16,000 U.S. expats living in Costa Rica and many well-established expat communities. Area: 19,730 square miles (51,100 square kilometers). Slightly smaller than West Virginia. Climate: Tropical and subtropical; dry season (December to April); rainy season (May to November); cooler in highlands. 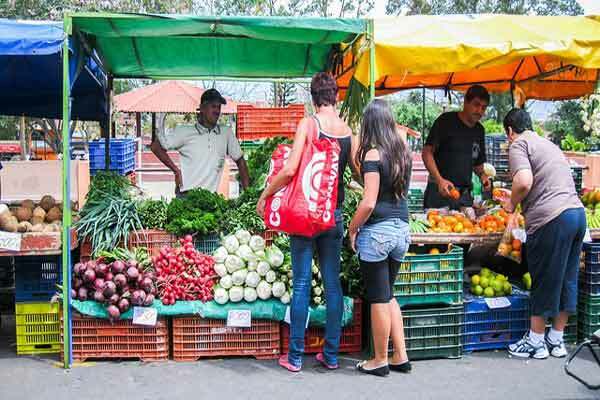 “Where is the best place to live in Costa Rica?” This is perhaps the question we get the most. It would be fun for us to decide for you, but this is one decision we’ll leave up to you. We’ve met more than one expat who made a decision based on cheap real estate alone, and ended up unhappy. It’s important to find a place that satisfies more than a few of the above priorities. Though Costa Rica is a small country, there is tremendous variety of landscapes, lifestyles, and climates in each of its regions. Whether you want to live in a bustling market town, in a rural village, on your own farm, in the jungle, on the beach, in a cliff-side ocean-view condo, or on top of a mountain with 100-mile views—you can find your dream location in Costa Rica. • Living in the Central Valley means you’ll have easy access to the amenities of the capital, San José. • In Costa Rica’s Arenal region, about three hours northwest of the capital in the Northern Highlands region, you’ll find Lake Arenal and the charming villages of Nuevo Arenal and Tilarán. 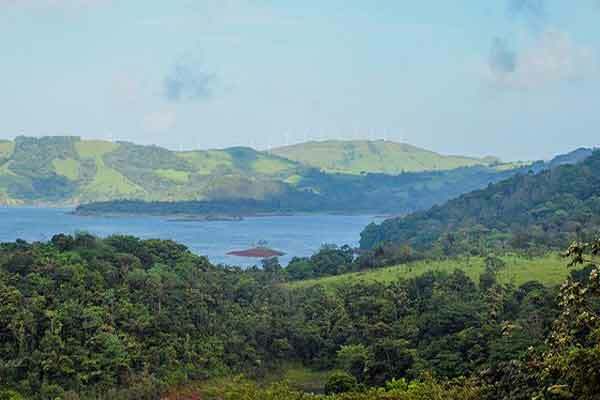 Here expats have settled on the green hills rising from the lakeshore. • There’s the Gold Coast on the north Pacific, which is home to many expat enclaves like Tamarindo, Playa Flamingo, and Playas del Coco, as well as sleepy fishing villages, surfing hotspots, resort towns, and more. • If you’re a beach lover and have a bohemian streak, you might check out the Nicoya Peninsula, which juts out into the Pacific. The funky beach towns of Nosara, Samara, Malpais, and Montezuma are centers for yoga, surfing, and just plain relaxing on the beach. 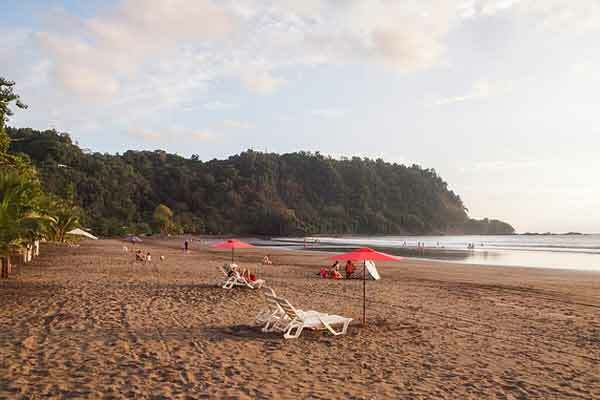 • Switching coasts, we come to the laidback Caribbean side of Costa Rica. Thanks to the many Jamaican immigrants in the area and lack of any large-scale development, it has a genuine island vibe. And many locals speak English. 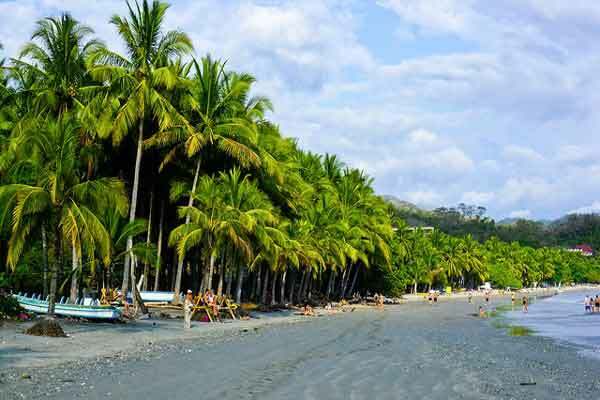 • Finally, we come to the Central Pacific, a region that offers quick access to the shopping and medical care in the Central Valley, with some of the most beautiful beaches in Costa Rica in your backyard. 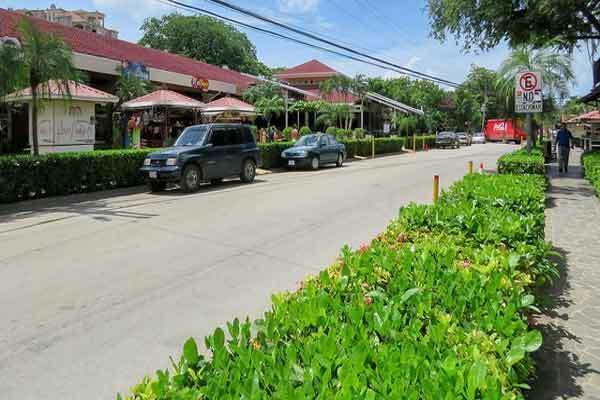 Jacó is a major resort town and expat hotspot, a walkable community with a plethora of bars, restaurants, and nightspots. There are a few things you can do to start preparing now. For general information on Costa Rica-related issues, be sure to browse the Costa Rica pages on International Living’s website (http://internationalliving.com/countries/costa-rica). You’ll be able to read articles on different areas of Costa Rica, view videos, and learn about nitty-gritty topics like residency, taxes, and real estate. You should check out our Costa Rica Facebook page. This is a great way to get in touch with other IL readers and all our editors. Plus it’s full of fun and interesting photos, videos and much more. Find us at www.facebook.com/internationallivingcostarica. U.S. and Canadian citizens do not require a visa to enter Costa Rica as a tourist. An immigration validation will be stamped into the passport upon entry, and this provides proof of legal status in the country. You can renew that tourist visa indefinitely by leaving the country and re-entering before you tourist visa expires. This can be a great option if you travel to Costa Rica to scout out the country and find out if it’s a good fit. But if you plan to live in Costa Rica full-time, it’s best to pursue legal residence. Here are some of the more popular residence options. • Pensionado Program: It requires proof that you have at least $1,000 a month in income from a Social Security, disability, a pension, or other retirement plan that is guaranteed for life. You won’t be able to work as an employee in Costa Rica, but you can own a company and receive dividends from it, as well as work online or as a freelancer with clients and/or customers outside of the country. One spouse applies and must prove that income; the other spouse is the dependent. • The Rentista Program is for people without a fixed retirement income. It requires proof of $2,500 monthly income for at least two years or a $60,000 deposit in a Costa Rican bank approved by immigration authorities. • If you want to invest at least $200,000 in Costa Rica, you can become a resident under the Inversionista Program, which applies only to investors, not their families. And, by the way, after three years as a temporary resident in one of the categories above, you can apply for permanent resident status. Actually, we’re talking about two tax men: the one from your home country and the one from Costa Rica. You soon may have a new tax obligation, but don’t forget that American citizens (for example) are never free of their old one. When you move overseas, unfortunately your U.S. tax obligations do not get left behind. U.S. citizens are taxed on their income worldwide, so even though you may not be living and working in the U.S., you will still need to fill out a tax return each year. As an expat, you will be entitled to some tax breaks. So, get advice from a U.S. tax expert who knows about things like the income exemption for non-resident citizens and the benefits of an offshore corporation. You should also consider consulting a Costa Rican attorney or tax expert, especially if you intend to invest, start a business, or otherwise earn an income in Costa Rica. Make sure you understand what your tax burden will be before you take up residency in Costa Rica. If you haven’t done so already, consider whether you want to pull up all roots and move to Costa Rica full-time, or whether you want to live here part-time. Will you bring your family with you or will loved ones visit you in Costa Rica often? Do you have a college-age kid who will need a room when he or she comes to Costa Rica? And will you be bringing any pets? Also, you’ll need to decide whether you’re keeping a property of some sort back home. If so, you’ll need to think about caretakers or management companies to help maintain and keep your property or properties secure while you’re gone. Here’s where you set a date for your move and decide whether you want to ship your household belongings with you or buy new ones when you arrive. Whether or not to ship depends mostly on the hassle factor. Packing and shipping a household full of stuff across borders can be a lot of trouble and expense. Of course, there may be items that you want to bring for sentimental reasons, but you don’t have to ship every household item. Furniture, kitchen and laundry appliances, beds, lamps, and bureaus—it’s all here, at a variety of price points. We advise you to think long and hard about whether to ship your goods, evaluating the cost (and bother) of shipping versus the low cost of buying in Costa Rica. There’s no hard-and-fast answer here; it’s a very personal choice. Rent for six months to a year before committing to a destination completely. Renting allows you to check out a neighborhood before committing to it. It also allows you to check out different types of housing. If you decide to buy rather than rent, then do so with an eye to the property’s re-sale potential and recognize that in today’s market it may not sell quickly if you do decide it doesn’t suit you. Once all the hard work is over, it’s time to start exploring your new home. Flying to Costa Rica has become easier in recent years, thanks to improvements in its airports and a growing number of airlines that serve them. Major airlines that fly from the U.S. to Costa Rica include Aeroméxico, American Airlines, Alaska Airlines, Copa, Delta, Frontier Airlines, JetBlue, Spirit Airlines, Sun Country Airlines, Southwest Airlines, United Airlines and Volaris. Fares vary widely, depending on such factors as the day of the week and time of year and how far in advance you make reservations. Remember: A move is just a move. Yes, your move is important—very important. But don’t forget that in the end it’s just a move, and you’ve probably moved before. You know the deal… If you find a better place, you can always move on…or even move back. But you’ll never be able to recover any years spent hesitating. When asked, most expats will tell you: their biggest regret is that they didn’t do it sooner.